Are you battling with hair dandruff ? I know you must have try different Anti-dandruff products,or they told you that their is no remedy for hair dandruff. But believe me, it is a very big lie" worry no more, because I will teach you how to get rid of dandruff permanently. But before I start, you have to understand what causes dandruff. 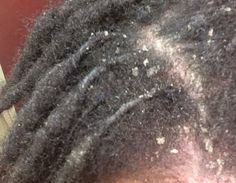 Dandruff is caused by head shedding, which is as a result of a chronic skin condition caused by the buildup of yeast around the base of your hair follicles, according to Dr. Nicole Roger, a professor of dermatology at Tulane University of Medicine. Which Yeast Are You Talking About? The answer is "No" whether does not cause dandruff, according to Dr. Wilkerson. However environmental change may aggravate a dandruff skin condition in those suffering from dandruff. So if you are suffering from dandruff, and you go from warm climate to cold climate, the dandruff is likely to get worst. Whether is not responsible for that. So How Do I Get Rid Of Dandruff Permanently? Get Palmolive natural anti- dandruff shampoo, it is one of the best shampoo you can use to get rid of dandruff permanently. All you need to do is to wash your hair with Palmolive shampoo, like two times in a week before making new hair, to help get rid of dandruff permanently. But make sure you wash and rinse hair thoroughly, any left over in your head may creat feeding ground for yeast. Try it out today, and see how fast it works. Washing my hair with Palmolive natural shampoo, I'm assured of getting rid of dandruff permanently? Washing your hair regularly with Palmolive natural anti-dandruff shampoo help to lower the rate at which your skin cell die and slough off. when used daily and left for about five minutes before washing it off, always remember to rinse your hair thoroughly to aviod creating a feeding ground for yeast.Your dandruff shampoo is not just made for your hair. The real work its doing is on your scalp, so you need to get the shampoo directly on the scalp and clean the skin there. “Finger contact with scalp is important,” says Dr. Lefkowicz, who suggests a gentle massage. It doesn’t take long, either. “As long as it makes contact with your scalp, the technology will sink in,” she says. Also, only use lukewarm water. Heat can irritate the scalp and encourages inflammation. “When you use very hot water, you are affecting the skin moisture barrier,according to Lefkowicz. Whenever I meet with patients who have aggressive dandruff, my first question is" what's going on? Is there any stressful event that triggers off this reaction? But the truth is that anytime your immune system is altered, it may provoke dandruff flare up. So don't blame yourself for having dandruff.